These facts have always been part of Alex’s life. Despite some teasing, being a biracial girl in a white family didn’t make much of a difference as long as she was a star on the diamond where her father—her baseball coach and a former pro player—counted on her. 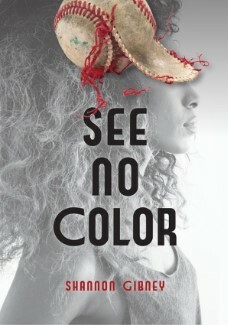 But now, things are changing: she meets Reggie, the first black guy who’s wanted to get to know her; she discovers the letters from her biological father that her adoptive parents have kept from her; and her body starts to grow into a woman’s, affecting her game. Alex begins to question who she really is. She’s always dreamed of playing pro baseball just like her father, but can she really do it? Does she truly fit in with her white family? Who were her biological parents? What does it mean to be black? If she’s going to find answers, Alex has to come to terms with her adoption, her race, and the dreams she thought would always guide her.